Is This What Hearing Loss Sounds Like? It may start so simply. You ask your daughter to repeat something. Innocent enough. You tell yourself that she was mumbling or background noise interfered. But you wonder: Am I losing my hearing? How will I know? The truth is that hearing loss can be very subtle at first. You’re left wondering and denying as the symptoms persist. Learning more about what hearing loss sounds like will help you recognize what you may be experiencing. It will also prepare you for how your hearing may change over time. It’s important to realize that very few people with hearing loss don’t hear anything. And for most of them, it started very innocently when they asked someone to repeat themselves. Let’s take a look at the sound of hearing loss. Someone who has conductive hearing loss can still hear sounds “normally.” They just sound quieter. If a parent ever asked you to “speak up” or didn’t realize that the TV is really loud, they may have conductive hearing loss. When sound comes into your ear, it travels through the ear canal to your eardrum. Then it reaches three bones in your inner ear. One of these is the cochlea where little hairs vibrate with the noise. This vibration sends messages to the brain that are interpreted as various volumes and frequencies. In each case, something is interfering with the way sound is transmitted through the ears. Conductive hearing loss is often temporary. It may just be a matter of removing wax build-up. But it may have a most lasting cause. For this reason, someone who believes they may have conductive hearings loss should make an appointment with an audiologist. If you had the measles when you were little, you might have developed Otosclerosis, an irregularity in the shapes and function of the inner ear bones. Treatment may be a matter of merely treating an infection or safely removing wax. If it does have a more permanent cause, then a hearing aids or surgery may be required. A person with sensorineural hearing loss will hear sounds that are not only quieter. They also sound distorted. This can make it very difficult to distinguish sounds from others. Some sounds may not be heard clearly. An individual with sensorineural hearing loss often thinks they understand what someone is saying. They may respond not even realizing they misunderstood. This can create frustrating communication problems with family and friends. 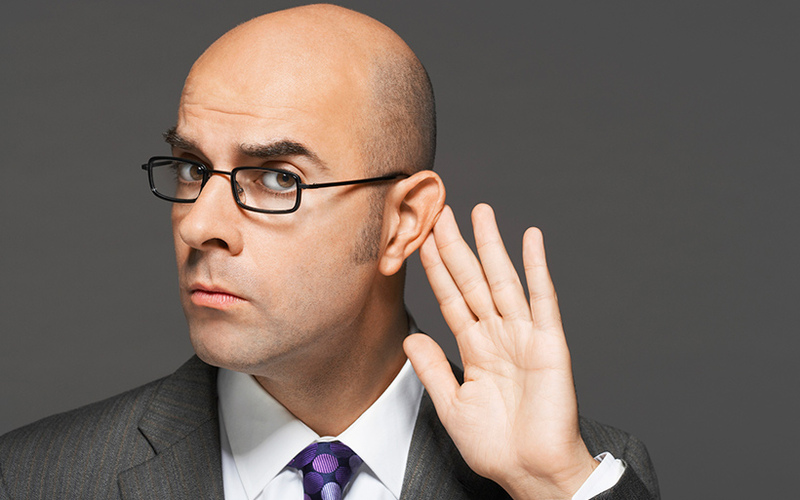 What a person doesn’t hear can vary depending on the cause of the hearing loss. For example, someone with age-related hearing loss typically struggles with distinguishing consonants. Someone with Ménière’s Disease can’t hear vowels well. And sadly, things we love like music or children’s laughter may become less pleasing as the subtleties are either no longer heard of sound different. Sensorineural hearing loss is caused when the little hairs in the inner ear are damaged. These hairs don’t heal, and they don’t grow back. In each of these cases, something has damaged the little hairs in the inner ears so that they no longer pick up on the subtleties in sound that a hearing person takes for granted. Unlike conductive hearing loss which may be temporary, sensorineural hearing loss does not go away. With time, it often gets worse. These risks can be significantly reduced with early detection and treatment. Tinnitus is a different kind of hearing loss that involves a constant or intermittent sound overlapping the sounds coming into your ear. Tinnitus has similar causes to those mentioned above. But it can be unique to the individual. While ringing and hissing are more common, some have described a single, annoying song playing over and over day and night for years. That takes getting a song stuck in your head to new heights! If you think you may have any of these conditions, get a hearing test and speak with an audiologist regarding your options.